On Tuesday, February 27, as part of the 2018 First Light Festival, the EST/Sloan Project will present the first public reading of Kristin Idaszak’s riveting new play, THE SUREST POISON, a fast-paced whodunit in which 1920s New York City spawns not just Prohibition and Jazz Age speakeasies, but also the birth of forensic science. The play’s many colorful characters include Lipstick, The New Yorker ’s flapper correspondent; Charles Norris, the city’s well-to-do first Chief Medical Examiner; and Alexander Gettler, his workaholic, path-breaking forensic toxicologist. But let’s have the playwright take it from here. What prompted you to write THE SUREST POISON? 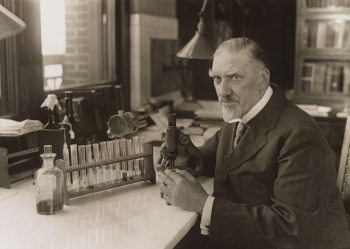 Dr. Charles Norris in his lab in the 1920s. THE SUREST POISON has a number of different origin points. 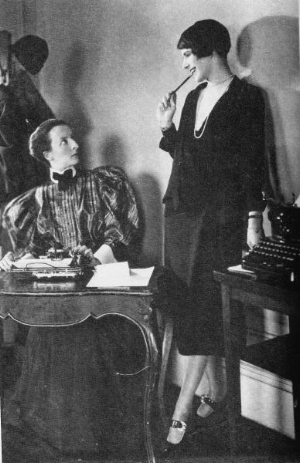 I’ve had a longtime interest in the 1920s because of the way that speakeasy culture provided new opportunities for women to enter into the public sphere. 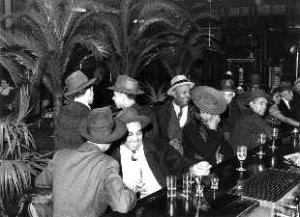 Because speakeasies weren’t regulated, nobody could keep women out. Both the enactment and the repeal of Prohibition are closely tied to the feminist movement. I also have a longtime love of hardboiled detective fiction. (For this play, I found myself revisiting Dashiell Hammett’s frothier novel The Thin Man and the subsequent series of films.) Growing up, I always identified with the male detective. As an adult, I have made it into a personal mission to reclaim the hardboiled genre for queer women. These elements came together for me when my husband gave me Deborah Blum’s The Poisoner’s Handbook for Christmas one year. He knows me well. The book introduced me to the incredible toxicologist Alexander Gettler and pathologist Charles Norris. Soon thereafter, all of these different interests began to coalesce. Like all my plays, it also comes from something deeply personal. In THE SUREST POISON, one of the characters is an Italian immigrant whose family is torn apart by alcohol. While that’s not autobiographical, it comes from a place close to my heart. The great luminary Taylor Mac talks about how theatre is an opportunity to rediscover things we’ve forgotten, dismissed, or buried. That’s my North Star. I believe that every time we tell a story about the past, it needs to be rigorously about the present. During Prohibition, bootleggers essentially started purifying industrial alcohol and selling it. 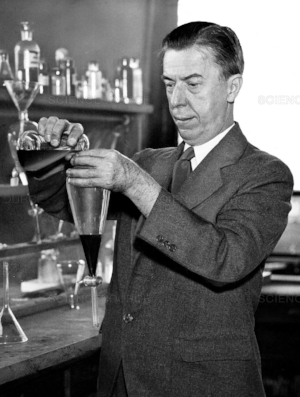 In response, the government hired chemists to add denaturants to the industrial alcohol supply. The intention was to create something extremely toxic. However, the people who ended up drinking this poisoned alcohol were almost entirely from marginalized groups—immigrants, people of color, and the country’s poorest citizens. To me, the core of this play is about what happens when one group of people tries to legislate what it means to be “the right kind of American.” Prohibition was a very white, middle-to-upper class, Protestant movement. THE SUREST POISON interrogates many spheres of privilege that intersect in this environment—gender, race, immigration status, religion, sexual orientation, and socioeconomic status. You bring so many things together in THE SUREST POISON: Prohibition, Jazz Age New York City, the Harlem Renaissance, the Birth of Forensic Science, the arch sassiness of the early New Yorker magazine, Race and Gender Identity – and a Murder Mystery! How did you decide to put all these into a play and not a ten-part series for Netflix? That’s a great idea! Hold on, let me call my agent. In all seriousness, I’m hugely influenced by hardboiled detective fiction, which tends to throw together major social questions, a few dead bodies, and a colorful cast of characters. It uses those ingredients to take the audience on a whirlwind tour of a city’s underbelly. It leaves you with as many questions as answers. I want to whet the audience’s appetite. My hope is that people leave my plays hungry to dig deeper for themselves. Not everything wraps up in the play, and that’s intentional too. Your play script includes a very helpful bibliography. You’ve clearly done a lot of research. Can you walk us through the writing of your play and the role your research played in the writing? Did you consult with any science experts during your writing? Research is my opportunity to play detective, to find connections, and to expand my own understanding of the world. I’m always trying to strike a balance between honoring the history and telling a story that has its own needs. To write the scenes where Gettler is performing experiments onstage, I used Gettler’s own paper, “The toxicology of cyanide.” I basically transcribed the steps of testing for cyanide in tissue the way he describes them in the paper. After I finished the first draft, I sent the play and the paper to my parents (both chemical engineers) to fact check the science. I think I might have sent them back to their college textbooks. But they gave me the okay on the science. In the play Gettler, a Hungarian immigrant, is convinced that the government is intentionally distributing poisonous denatured alcohol through the Prohibition’s black market as a way to rid the country of the poor, people of color, and immigrants. Is he speculating or was there evidence from the time that his suspicions were true? The intentional distribution of poisonous liquor was very well documented. It was well understood at the time and now that the poisonous liquor was disproportionately affecting the groups you’ve mentioned. I found this over and over in my research, including in several New York Times articles from the 1920s. I think a useful contemporary example is the water crisis in Flint, Michigan, although the situations aren’t analogous. The government isn’t necessarily conspiring to murder the citizens of Flint. But there have been a series of very conscious choices made that jeopardize the health and lives of the people who live there. What’s the line between complicity and culpability? Your title comes from a wonderful quote from Ralph Waldo Emerson: “Tobacco, coffee, alcohol, hashish, prussic acid, strychnine, are weak dilutions: the surest poison is time.” You incorporate those elements and more into an original song that the character The Chanteuse sings. It’s such a great quote! How is it that no one has used it in a song before? Probably because it’s hard to make rhyme! The title came before I knew exactly how or if it was going to appear in the play. But it was an idea I couldn’t get out of my head. The fundamental principle of toxicology is, “The dose makes the poison.” If you think about it, that principle applies to time as well. When I stumbled upon the idea of making it into a song, it immediately felt really right. Your play has an epitaph quote from a chemical engineer, Joseph Vincent Idaszak: “It’s all deadly.” I’m wondering at what age you heard that and what impact it had on your lifestyle and writing? I don’t remember when I first heard my dad say that, but it’s become family shorthand. The sense of it is a bit cavalier, but it’s also a deeply pragmatic axiom. If everything’s deadly, you might as well live boldly. Both my parents originally trained as chemical engineers. The engineers I know (including the ones who raised me) see what they do as the marriage of pure scientific knowledge with practicality. So I grew up in an environment that combined intellectual rigor, pragmatism, and a very offbeat sense of humor. I think that has a pretty one-to-one translation into my aesthetic as a playwright. It’s also influenced how I live my life: I studied philosophy in college, and similarly see theatre as the practical application of all the big questions about how to be a human being that I loved from my philosophy coursework. 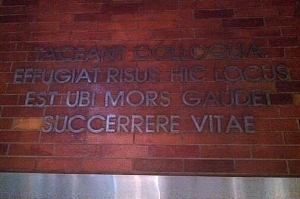 There’s a Latin quote that Norris brought back from his travels in Europe and that apparently still hangs in the New York City morgue today. In translation it reads: “Let conversation cease, let laughter flee. This is the place where death delights in helping the living.” What insight does this give us into Norris? I love this quote! I think it captures the entire ethos of the Chief Medical Examiner’s Officer under Norris’s tenure. There is a solemnity and sense of higher purpose to the work these individuals are doing. It’s not for the abstract advancement of human knowledge. It’s for the concrete betterment of people who are living hard lives. But there’s also an acknowledgement of the presence of death. The quote reminds me of the way that Gettler was described as the man who reads corpses. There’s a sense that death is not final, that death has been activated in some way. In an early draft of the play, the character who was murdered had a supernatural presence in the play. While that story element has gone away, the impulse remains. What’s next for Kristin Idaszak? 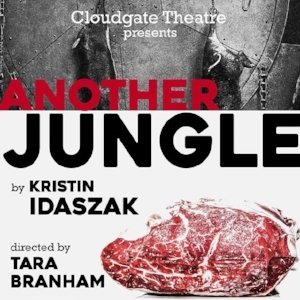 In April, my play Another Jungle will have its premiere in Chicago, as a co-production between my company, Cloudgate Theatre, and the internationally-based ensemble The Syndicate. I’m also writing a new play that spans the entirety of human history in Antarctica through the lens of gender and climate. 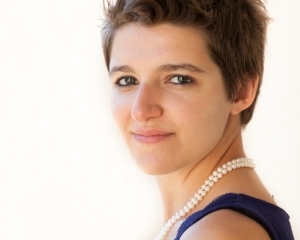 That’s called Three Antarcticas and will have its first public reading at The Goodman Theatre this summer as the culmination of the Goodman Playwrights Unit. The 2018 EST/Sloan First Light Festival runs from February 5 through April 6 and features readings and workshop productions of eight new plays. The festival is made possible through the alliance between The Ensemble Studio Theatre and The Alfred P. Sloan Foundation, now in its twentieth year.